Many women suffer from premenstrual syndrome, or PMS as it’s called popularly. If this is something that you can relate to, then you might be looking for effective ways to cope with the hormonal imbalances that occur inside your body. It is highly likely that you have tried remedies such as birth control pills, antidepressants, or over the counter medications like Motrin, Tylenol, and Pamprin. These medications might provide you with some relief, but they cannot and will not work to prevent recurring PMS. For this reason, you might want to consider herbal remedies for PMS. First, let’s take a look at what PMS is. PMS typically occurs between seven and fourteen days prior the start of a period, and it can last for the duration. 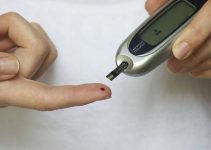 It involves psychological and physical symptoms, such as headache, bloating, mood swings, cramps, irritability, sadness, carbohydrate cravings, indigestion, sleep problems, pain, and breast tenderness. There is no evidence to show the exact cause, but it’s thought to be connected to changes in the levels of hormones related to menstruation. Carrots: Drinking carrot juice one week before the start of your period can help reduce abdominal pains and cramps. The juice can also help to remove excess salt from the body and regulate blood flow. Bear in mind that salt causes abdominal pains and bloating. Chaste Tree Berry: Studies show that this natural remedy will help to reduce headaches, breast tenderness, and depression. It is important to take this in the right dosage, so it would be a good idea to consult your doctor before use. Cramp bark: Women use this to stop excessive bleeding throughout their menstrual cycle. It can help to alleviate cramps as well. This herb contains nervine, which is a substance that will help to relax the uterine muscles. You could add it to your herbal tea. Evening Primrose: This is used to lower stress that is related to the menstrual cycle. In the past, women used to chew the evening primrose seeds to reduce PMS. You can find it in capsule form today, and one can be taken three times daily until the period stops. In addition to the herbal remedies above, it’s important for you to maintain an active lifestyle and a balanced diet. When you are active, this will help to normalize your hormone production. Vitamin C, E, B-1, & B-2, plus Calcium: These can promote serotonin production. When serotonin levels increase, your body will feel more relaxed and happy. It will also cause you to feel less pain. This is why natural health experts suggest that women who are menstruating should take these nutrients to get relief from the even more severe headaches and cramps during periods. If you are not getting enough calcium from your diet, you could experience severe headache, cramping, and depression immediately before your period. Calcium usually drops drastically ten days prior to your period, so it is important to increase your intake on these days. Kale, spinach, and yogurt are healthy calcium sources. Magnesium and Iron: The blood that is lost during your period is directly responsible for tired feelings. This is why the best or most effective PMS herbal remedies should include magnesium and iron all the time. These two powerful nutrients will help the blood in your body absorb more nutrients and oxygen to boost your sluggish energy levels. When choosing a nutritional supplement, you should look for one that has cranberry, evening primrose, wild willow bark, chaste berry, black cohosh, red raspberry, damiana, and wild yam. When combined, all of these powerful herbs will work to relax the uterine muscles, help the body to absorb more important nutrients, relieve stress levels, and lessen PMS pain. There’s a special PMS Tea blend available on Amazon with great reviews – check it out here! Generally speaking, every woman is different, but most if not all have experienced symptoms of PMS to some extent at some point. The symptoms above are only some of what women have to deal with at that time of the month. 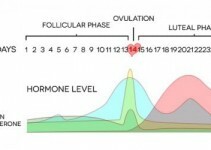 Of course, all the symptoms are not the same and they range in severity from month to month and between women. Now that you are aware of some of the top options for herbal remedies, you can take steps to add them to your daily routine in order to feel comfortable during your menstrual cycle. When using these herbal remedies for PMS, absolutely nothing should prevent you from performing your daily activities or chores.